24½ in. (62.5 cm.) high; 26¾ in. (68 cm.) diam. A near pair of similar wine-coolers were offered anonymously, Phillips London, 21 November 1995, lot 183. 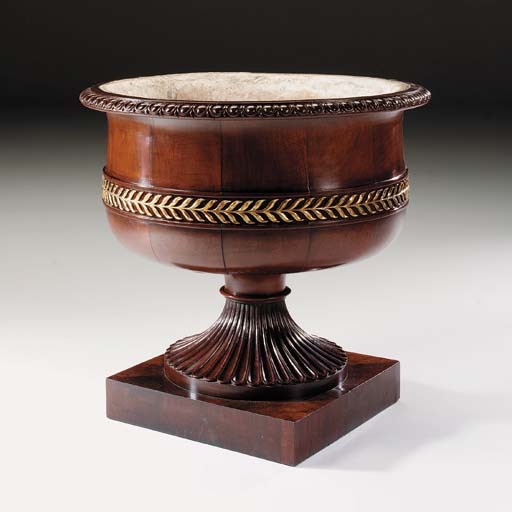 An almost identical wine-cooler was sold anonymously, Sotheby's New York, 18 October 1997, lot 344 ($18,400).